The Freshmen of the Month included, standing from left, Olivia Philips, Kayla Chi, Kaitlyn Moluntford, Jenna Gervasi, Marley Johnson, Madison Seagreaves, Alexa Wilson, Sophie Aguila and Olivia Barnes. Kneeling from left were Steven Weinstein, Louis Griggs, David Forcinito, Tyler Muha, Sheikh Ali and Sean Meares. 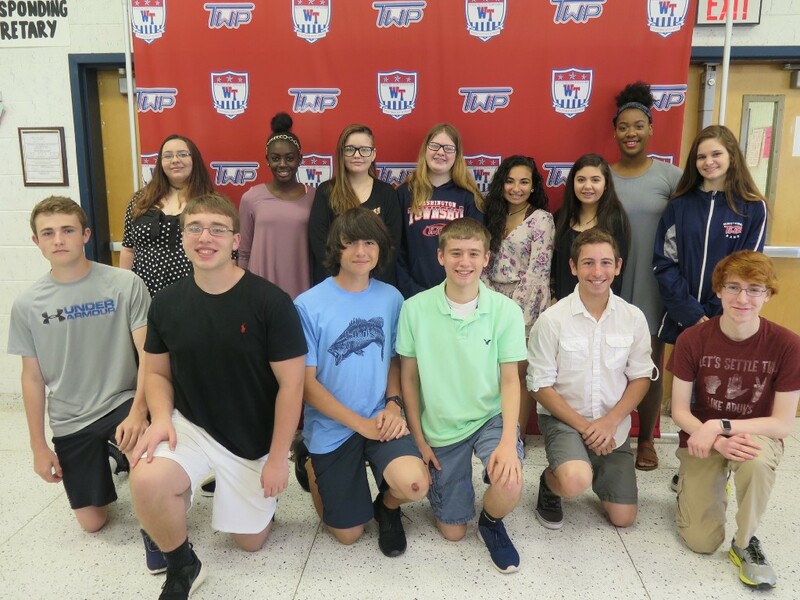 Washington Township High School Principal Ann Moore recently recognized the school’s April Students of the Month following a breakfast in their honor. 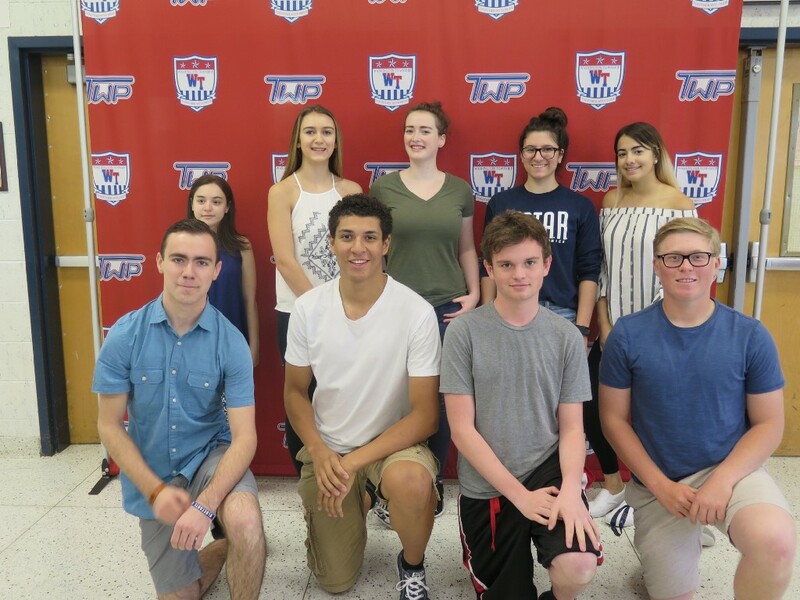 The honorees included: Sophie Aguila, freshman; James Gallicchio, sophomore; Allison Davis, junior; and Arash Vahidi, senior. Pictured are the Sophomores of the Month. Standing from left were Samantha Grasso, Tayva Mayner-Andrews, Ashley Pinardo, Rebecca McMichael, Alexandra DiMaggio, Olivia DeSanto, Gianna Clark and Cheyenne Hammell. Kneeling from left were Kenneth Flood, Kevin Palmisano, Nicholas Curcio, Nicholas Segal, James Donnelly V and James Gallicchio. Pictured are the Juniors of the Month. Standing from left were Alexa Cruz, Allison Davis, Madalyn Campbell, Gianna Puglia and Christina Scafisi. Kneeling from left were Joshua Ticcino, Brandon Hickson, Salvatore Maltese and Trevor Sharkey. Missing from the photo are Alexis Dandan, Jalen Miller and Sean Smithson. Seniors of the Month are pictured. From left are Ryan Lee, Arash Vahidi, Natalie Girardo, Leonard Rust, Andrew Barbuto and Frank Tiesi. Missing from the photo are Madeleine Avena, Nicole Bosurgi, Michael Casaletto, Eric Dougherty and Jaxson Quigley.